Say hello to the bigger, bolder brother to ZT’s popular 0460. The iteration of the 0462 entered the scene this past January and it offers some pretty incredible specs: CPM-20CV steel, a carbon fiber front scale with a deep-red weave of color, a titanium framelock with hardened steel lockbar insert, and a sweeping blade that perfectly complements the curve of the handle. We can give you the same spiel we always do with ZT by talking about the buttery smooth action and the KVT ball-bearing system, but you won’t really believe how good the flip is unless you try it yourself. Why we picked it: This ZT is surprisingly comfortable in the hand, and its amazing blade shape and sleek red and black carbon fiber handle really set this knife apart from other flippers. We’ve been seeing a lot of high-quality, high-value knives released recently but this might be the best of the bunch. 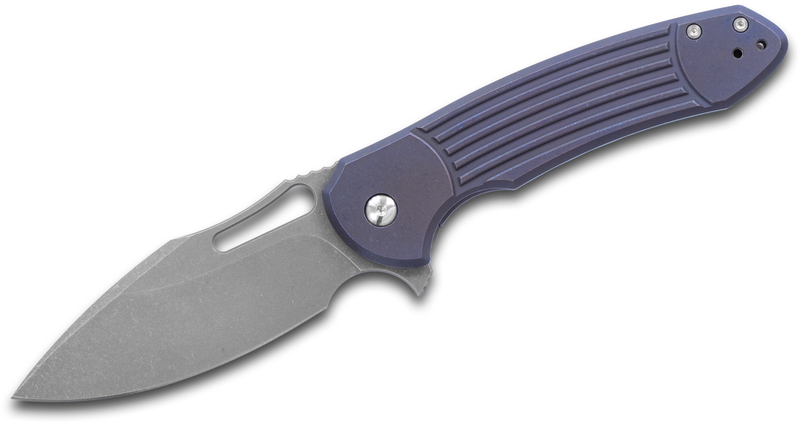 This knife is an import version of one of Ferrum Forge’s most popular designs of all time – the Fortis 2.0. This knife is manufactured in China by We Knives to help bring the cost down, but we all know We’s exacting and demanding standards. You’re basically getting incredible quality for a fraction of the cost of the original Fortis. Ferrum Forge knives have always had a unique action, and it’s hard to describe unless you’ve handled one yourself. It’s stiff, yet buttery smooth – you won’t have to put forward any effort to deploy this blade. Why we picked it: This knife has an amazing action and feels sturdy in your hand. The S35VN blade is a great steel for a hard use EDC, and it’s also one of the best knives you’ll find for the money anywhere. 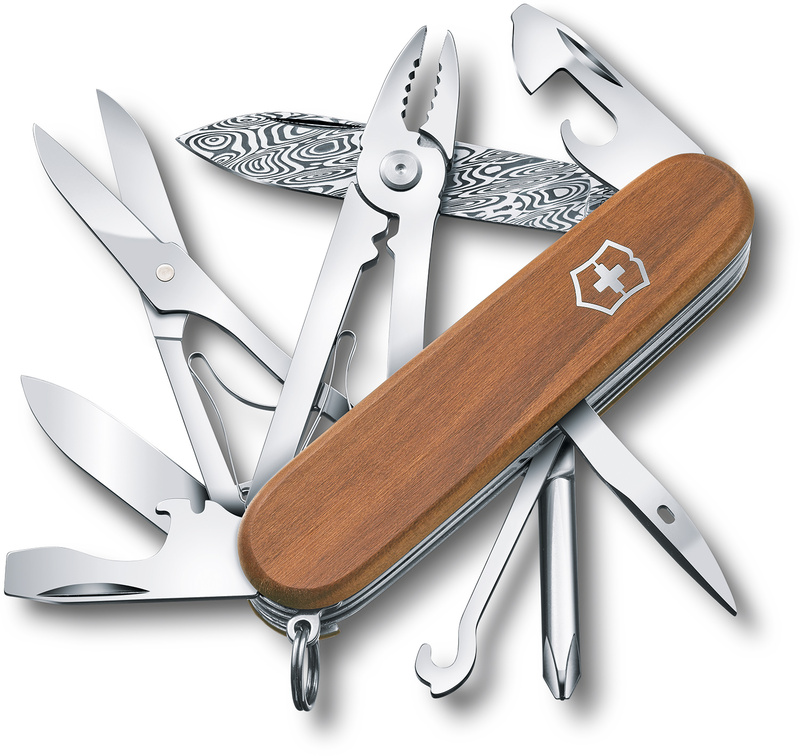 Each year, Victorinox comes through with a Damasteel limited edition multi-tool. The 2018 pick? This Deluxe Tinker featuring a main blade with 333 pattern-welded layers of steel combined with elegant plum wood scales. This multi-tool was limited to a 6,000 piece run and each one is individually numbered, so not everyone is going to have this exclusive pocket knife. Exclusivity is part of the fun, though, right? This model gives you a large blade, a smaller pen blade, a Phillips screwdriver, a can opener with a small screwdriver, a bottle opener with a screwdriver and a wire stripper, a reamer, a key ring, scissors, a multipurpose hook, and pliers with wire cutters and crimping tools. Phew! Why we picked it: This is a classic knife with a modern makeover. This contender for best pocket knife boasts the Victorinox durability we know and love and a style that can only be found in this limited edition piece. Is it any wonder that the best pocket knives are so often USA-made? Benchmade has brought us a smaller, EDC-sized Crooked River that only comes in at 7.89” overall. You still get the same slender handle, classic aesthetics, and signature Axis Lock mechanism of its larger sibling, just in a more compact package. It’s a win-win. Why we picked it: The Mini Crooked River bridges the gap between classic looks and modern materials, giving a unique flair. This high caliber folding knife is a perfect EDC and utility knife option. The blade-to-handle ratio gives you an incredible amount of control and cutting power, and the handle itself is contoured to give you an ergonomic grip that feels smooth and comfortable. This limited edition Intrepid is designed by frequent Kizer collaborator Ray Laconico and comes in at a compact 6.74” in overall length. Why we picked it: The Mini Intrepid takes the design of the full-size model and puts it into a smaller package to allow for a more comfortable pocket carry. It also sports an M390 steel blade. Awesome steel, awesome knife. The Yojimbo is frequently featured as one of the best Spyderco knives at KnifeCenter, so it’s no small wonder that their latest iteration of the Yojimbo 2 is one of the most popular pocket knives this year. Designed by noted personal-defense trainer Michael Janich, the Yojimbo 2 is a pioneer in the application of the Wharncliffe blade. You’re also getting premium CPM-20CV steel and carbon fiber handle scales. All par for the course when it comes to a great Spyderco folder. Why we picked it: The combination of the Wharncliffe blade and Janich’s combat-ready design make this one of the best self-defense knives on the market. I bet we can read your mind right now – how in the heck is a cleaver a pocket knife? 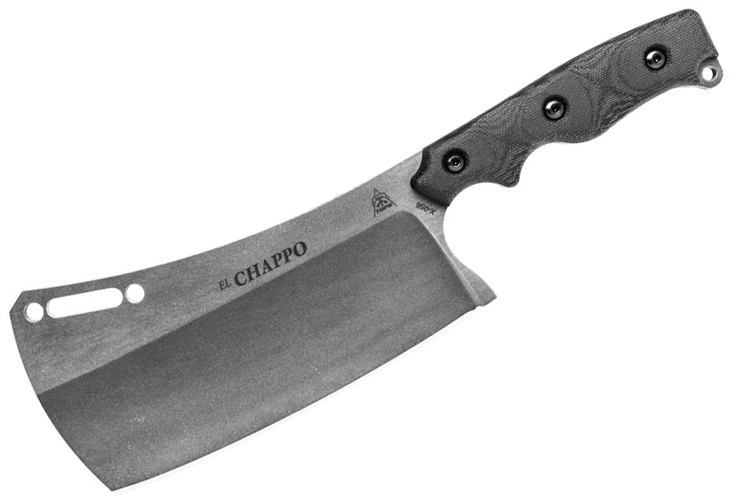 Well, it isn’t – but we’ve been listing so many incredible 2018 knives that it seemed a shame to not mention the El Chappo. This cleaver transcends the kitchen. While it won’t shy away from basic veggie chopping, it was designed specifically to tackle thick cuts of meat and to be taken out into the field to help divide game. Plus, it’s American-made – have we mentioned how much we value that before? (Yes). Why we picked it (even though it’s not a pocket knife): This is a serious knife! Use it anytime a huge knife could come in handy. The Acid Rain finish is a nice touch to pull this knife design together. 2018 is going to see some more incredible releases that we are sure will rise in the ranks of this list easily. Here are some pocket knives that we’re definitely looking forward to seeing soon. Bonus – they’re available for pre-order! Our second Dmitry Sinkevich design to hit our best pocket knives list, the Drunken is another brainchild of one of the most famous custom knife makers in the industry today. Named for the intricate and meticulously machined texture on the handle, the Drunken has a matching color-anodized backspacer, pivot assembly, and pocket clip. The entire design of this knife is well-thought out (of course, this is no shock considering the source) and ridiculously ergonomic. The handle isn’t just for looks – that curve makes it feel like it belongs in your hand. The scales are ‘webbed’ to reduce weight, as well, so that comfort factor transitions from hand to pocket easily. They really upped the ante with the steel, too – that S90V blade is going to give you some of the best (if not the best) edge retention in the biz. 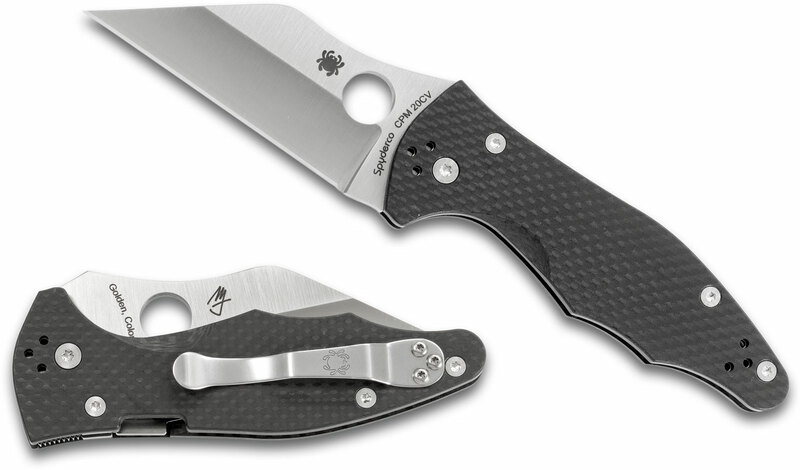 Why we picked it: Another great collaboration with Spyderco and a custom knife maker, how could it not make the list? 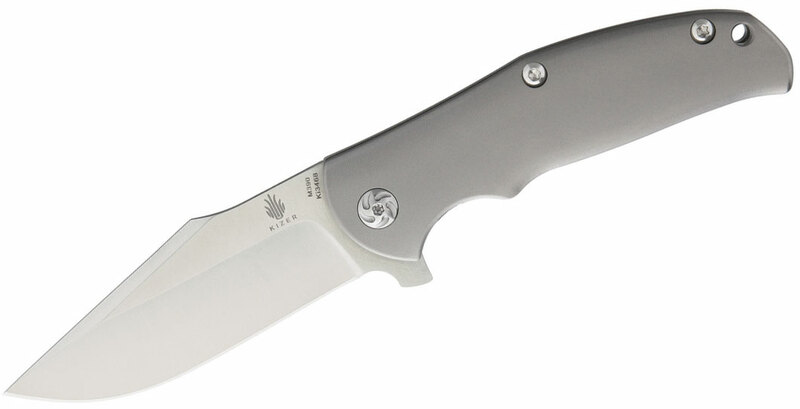 We really love the CPM-S90V steel, and it’s just a really clean looking knife. The Impinda was born when Chris Reeve decided he wanted to make a modern slipjoint that outranked and outclassed all the other non-locking folders on the market. He wanted sleek lines, a functional blade that could tackle outdoor tasks, a smooth opening, and a safer closing action than old-school jack-knives. Chris worked with William Harsey to get the Impinda out into the knife world, and ever since that day this slipjoint has been noted to be one of the best non-locking folders money can buy. Its patent-pending spring design applies pressure to the blade at a single point of contact as it glides along the varying thicknesses of the spring interface, producing a smooth, one-pound draw tension with a safer five-pound closing tension. 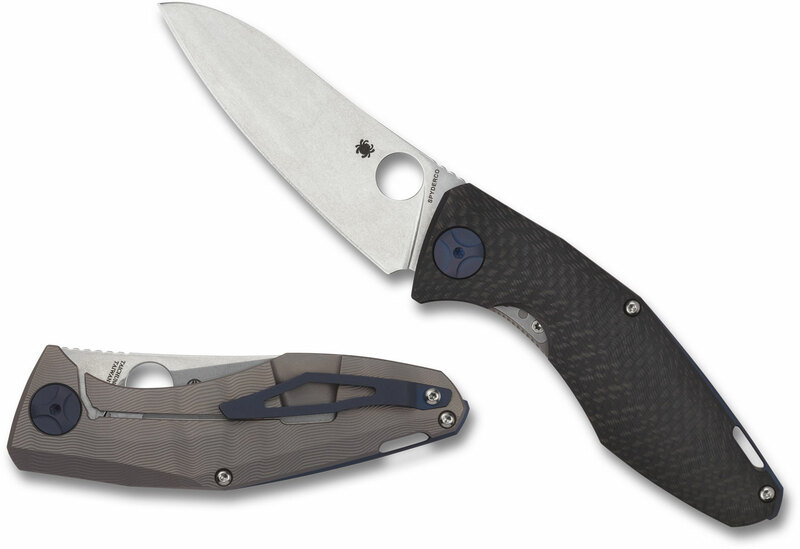 The stonewashed S35VN blade and titanium handles give it a simplicity that belies its strength. Why we picked it: This slipjoint revolutionizes what we thought we knew about them and is a huge breakthrough for the knife industry. The Impinda shows, if nothing else, the innovation for which Chris Reeve is always searching. If you’ve been holding off on getting a Kershaw Natrix because you want USA-made quality, say hello to the 7777 Bareknuckle. 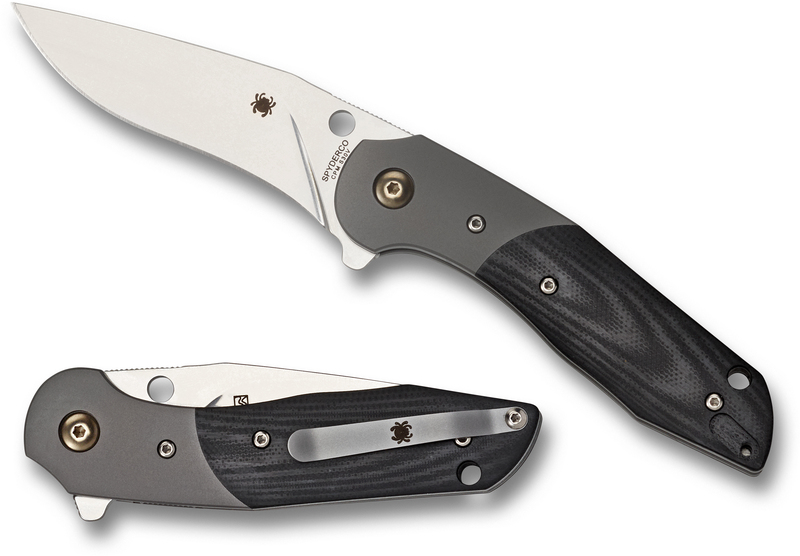 Just like the Natrix, this folder is inspired by the award-winning Zero Tolerance 0777. The 14C28N stainless steel used for the blade was originally created through a Kershaw-Sandvik partnership formed to produce a high-performance steel that had excellent corrosion-resistance and could be hardened to 58-60 on the Rockwell scale. 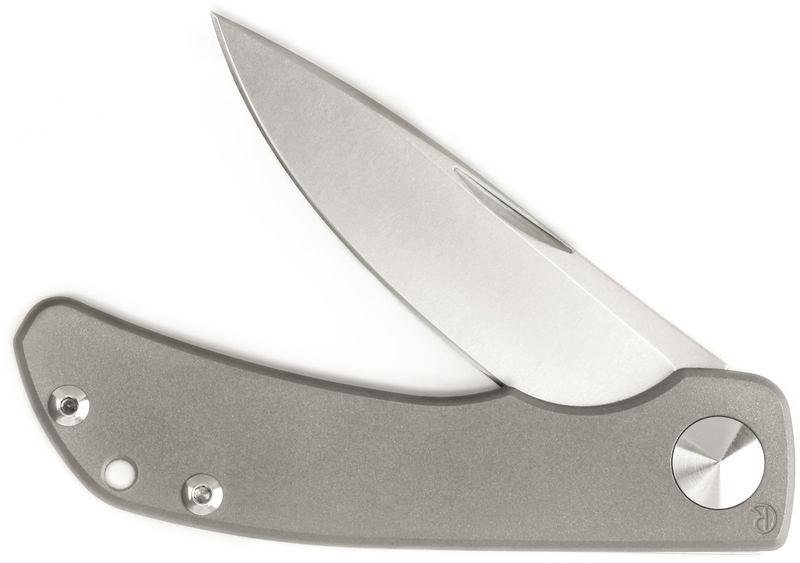 The anodized aluminum handle scales come in a beautiful matte gray, and the Sub-Frame Lock lightens the weight to a mere 3.4 ounces. Why we picked it: This knife offers an already-loved design at a more affordable price while maintaining that USA-made quality we love so much. Did we nail down the best pocket knives of 2018? What upcoming knives are you guys looking forward to seeing? Hop over to Facebook, Instagram, and Twitter to follow us and share your thoughts.